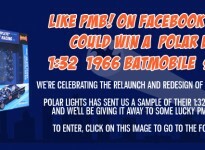 Gotham Fixer-Upper – Affordable! Pimp-ready! 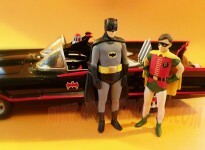 While I dream of one day owning a Mark Racop special – licensed, accurate, working 1966 Batmobile from Fiberglass Freaks, I also know (looong sigh) that barring a miracle – it’s not going to happen. I don’t move in those circles, I don’t have the garage space or disposable income to insure or maintain one. And if I did, I’d just keep adding to my vintage guitar collection and not end up with a real Batmobile anyway. Such is life. My love for the 1966 Batmobile is complex and moody. It used to be a secret, star-crossed love – poorly represented in the world of merchandising and only shared and attended to by a small select band of brothers. And then Mattel happened… Now everyone’s got one. Well, okay – not everyone but she is surely less ‘alternative’ than she was 20 years ago. Welcome to the mainstream, sweetie. 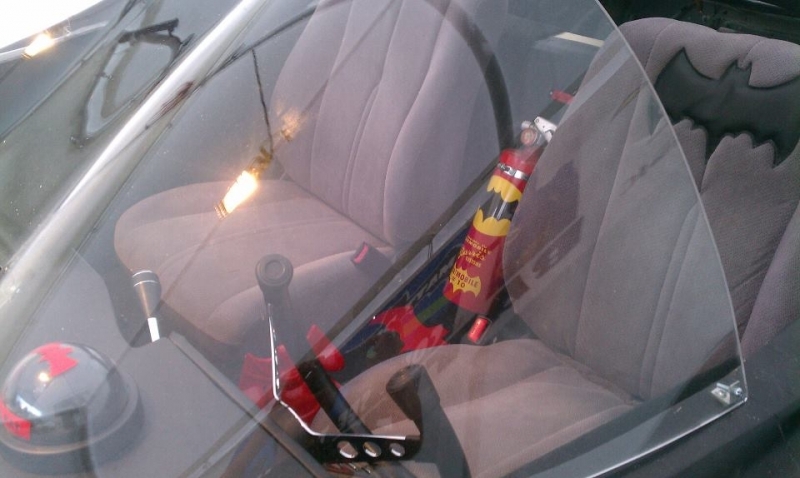 For me – part of toy collecting, and Batmobile-pimping has always been the thrill of the chase. It used to be a hunt. A challenge that only the wiliest succeeded at. Once eBay and Craigslist and the world wide web made everyone’s attic into a virtual garage sale – the thrill was gone. I sold most of my once-formidable Batman collection off because once you have it all, what do you do with it? Your kids can’t spend it on college. You can’t borrow against it. If you get hit by a bus tomorrow, what happens to it? Why do I bring this lament all up in an intro to a “check this out” article? Just feeling maudlin maybe. Or could it be I’m so jazzed about the chill I’m about to lay on you cats that I’m starting to talk in late 50’s beat movie cliches? 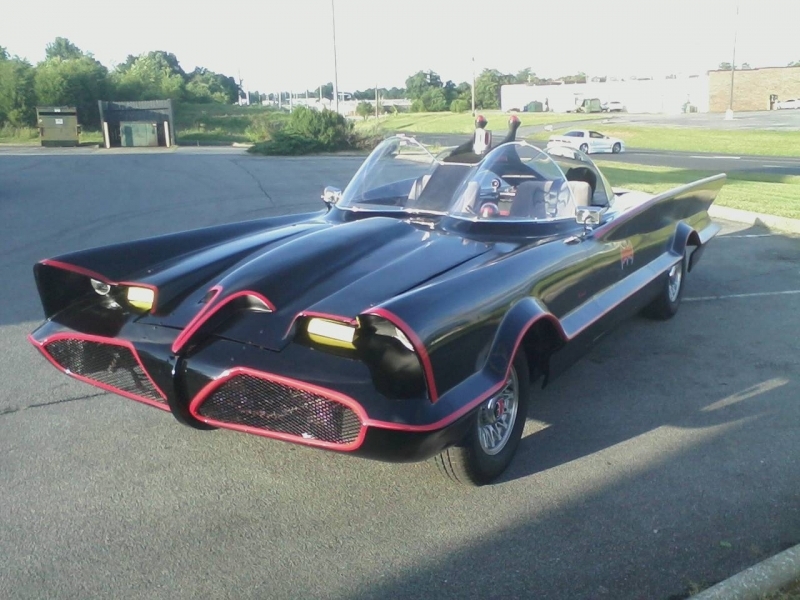 OR – you could buy Matthew’s Batmobile for less than a couple trailered Seadoos, and drive it the hell around town slow and low, playing WAR on the sound system and waving at people while you upgrade everything in it on your own over time. Hey some people like to build things. Other people like to shop. Still others like to fix things that other people shopped for. Or um, built… okay we’re running out of steam here. 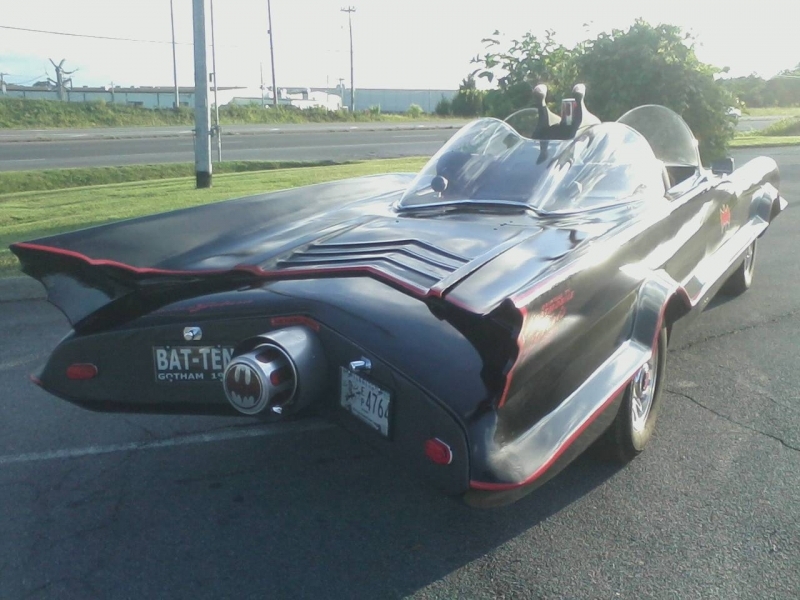 Point is – Cheap Batmobile fixer upper available for less than a MINI Cooper. 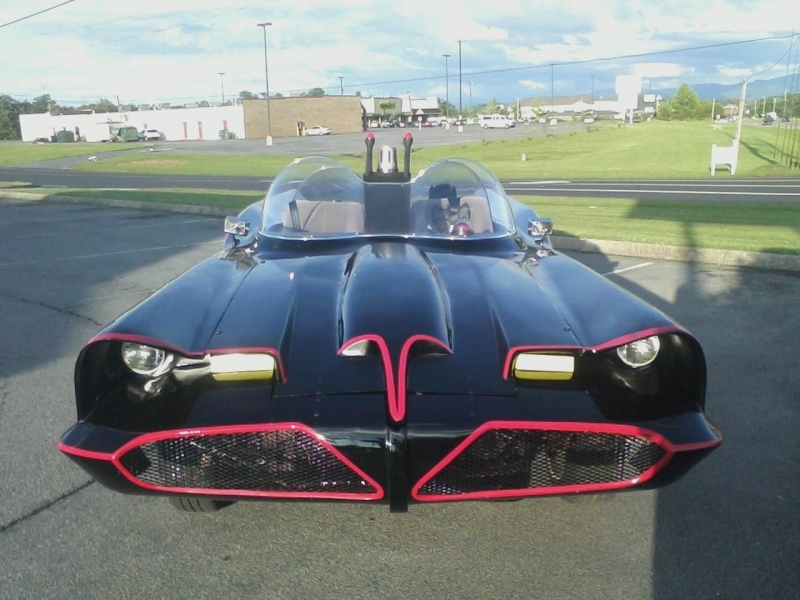 Great opportunity for someone without the $90k++ for a turnkey Batmobile. Contact Matthew. Glue Kit In The House. Lee, the email for Matthew is linked at the end of the article. he can give you more details and a phone number. Cheers! What a deal for what looks like a good starter/driver. I am sure it will sell fast. Seems that I don’t have Outlook! I guess no Matthew contact for me. Mark, not sure what that means about Outlook. Assuming you’re on a PC on IE, Firefox, or Chrome – just right click on the words “Contact Matthew” at the end of the article and choose “copy email address” or similar option. Then paste it into whatever email system you use. not too bad, but needs some tlc to become more accurate. what would you say it would cost to get to a more decent look? This turned up at a cruise night in Delaware a couple months ago. Not sure if its the new owner or the original who brought it in. Super cool to see it there…BUT…it was even cooler seeing it driving down 141 at 7:30 in the morning the following Monday. Great way to start the work week!